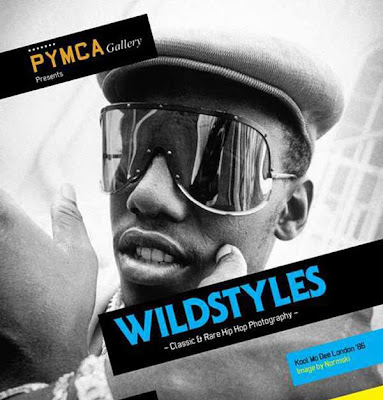 Wildstyles is an exhibition that features classic rare photographs hailing back to the 'old skool' days and is a homage to Wild Style, the classic Hip Hop movie that was re-released last year for its 25th anniversary. The exhibition will feature not only photographs but music, Breakers and Graffiti art. PYMCA have collaborated with some of Hip Hop's grand masters from Normski to Janette Beckman, to take you back to the days of Adidas shell tops and Run DMC. Wildstyles is certainly an exhibition to get you moving! The Wildstyles exhibition opens tonight from 6pm till 11pm at Bar Vinyl | Camden Town | N1.